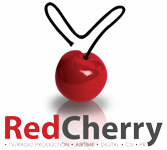 Red Cherry Media has Debbi Dale joining the team! Red Cherry Media is thrilled to announce that Debbi Dale has chosen to join our team as Business Development Manager, after running her own Media Sales Coaching & Mentoring business for eighteen months. Debbi will be working very closely with the Durban market as well as adding value to the entire Red Cherry Media Group. Debbi has three decades of executive experience in the media, media sales and marketing industries, which has included being a media manager/director at a number of media/advertising agencies, co-owner of an advertising agency, media strategy consultant, holding a media sales board appointment and being a corporate media executive at Unilever for ten years on their local, regional and global leadership teams. Debbi has worked with the Red Cherry Team for many years and to have her on board as a fully fledged Red Cherry is very exciting, says Director, Jenna Murray Smith. We are confident that Debbi's experience will benefit our clients and our team greatly!